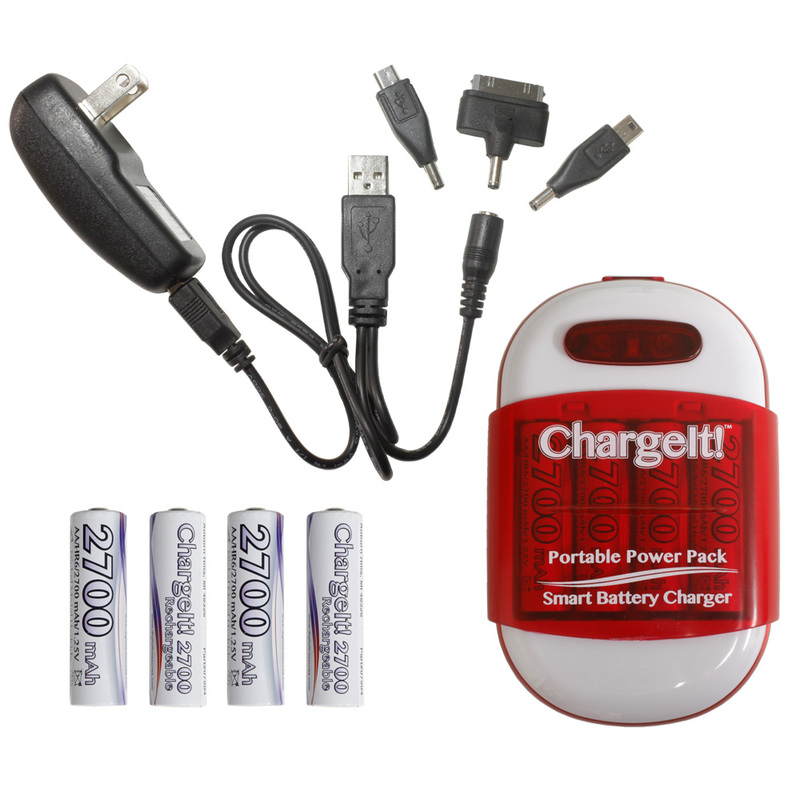 Easy to use, earth-friendly, and a big money saver, the innovative ChargeIt! 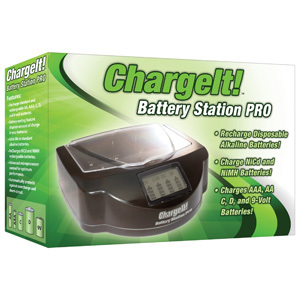 Battery Station Pro lets users recharge standard alkaline batteries. 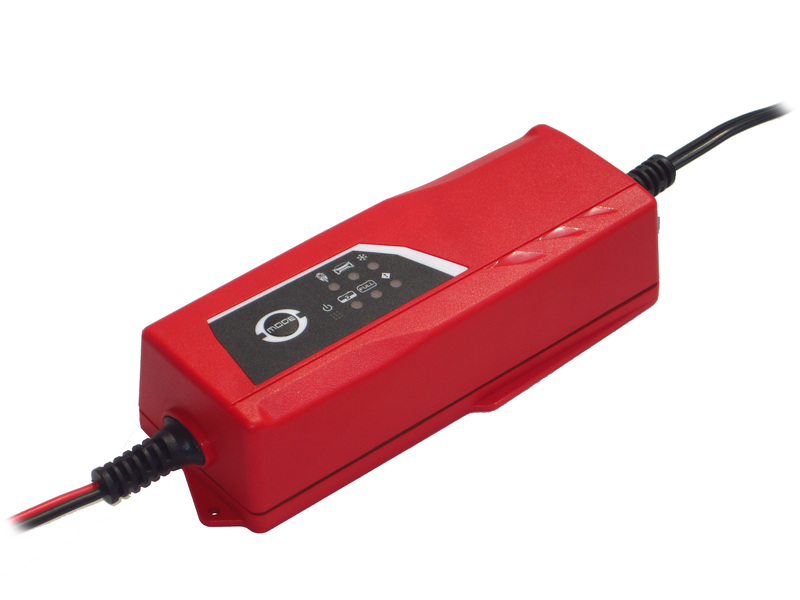 Featuring a system of sophisticated microprocessors to monitor each bay and including advanced safety controls for worry-free operation, the ChargeIt! Battery Station Pro also works great as a recharger for NiMH and NiCd rechargeable batteries. 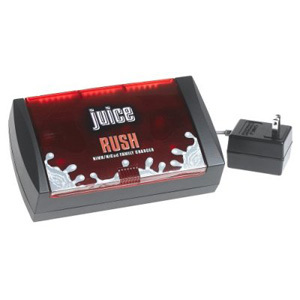 Discover the power, convenience and savings of Juice™ Rechargeable Lithium Photo Battery System... Recharge and reuse it up to 300 times and experience the powerful Juice™ take charge! Sleek, compact charger c/w battery status indicator. 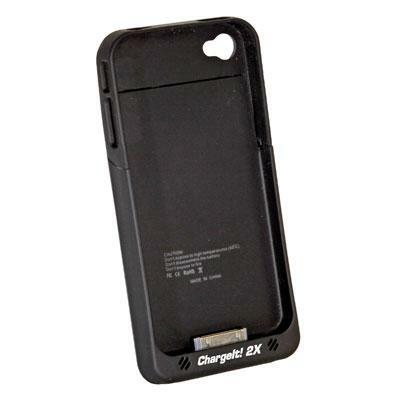 Double the battery life of your iPhone 4 and 4S without sacrificing portability! The ChargeIt! 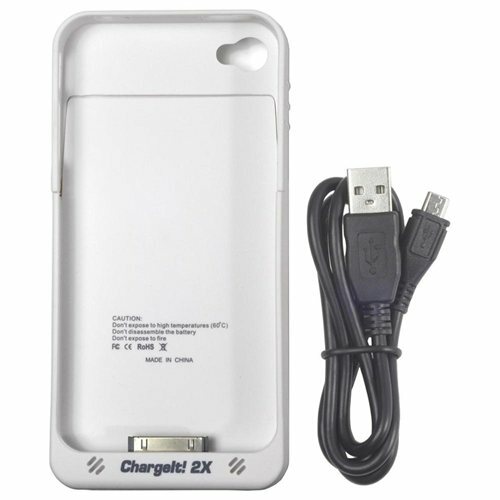 2X for iPhone 4/4S is the innovative rechargeable battery pack that?s also a stylish and protective case to guard your iPhone from mishaps. And with the included cable, you can charge and sync your phone without having to remove the case! 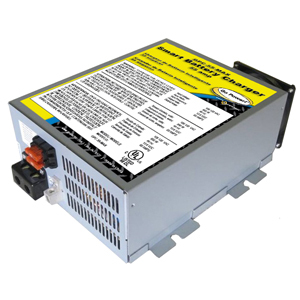 Our Latest 12/24V Smart Battery Charger (7.0A). 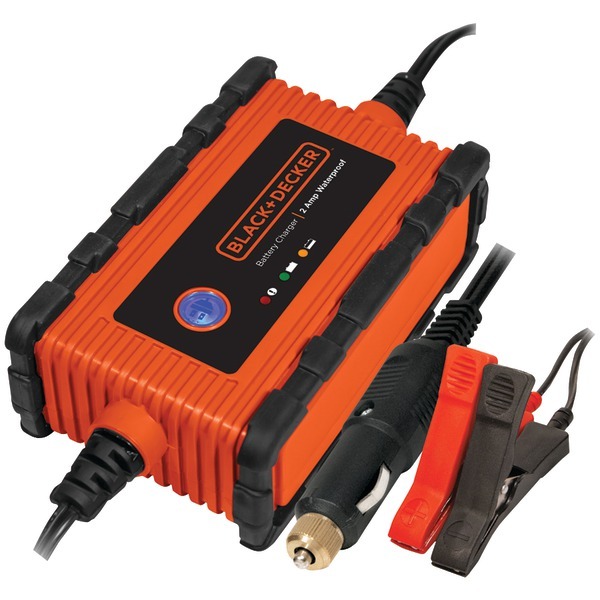 Professional charger and battery maintainer for you booster, car, motorcycle, truck, boat, etc! 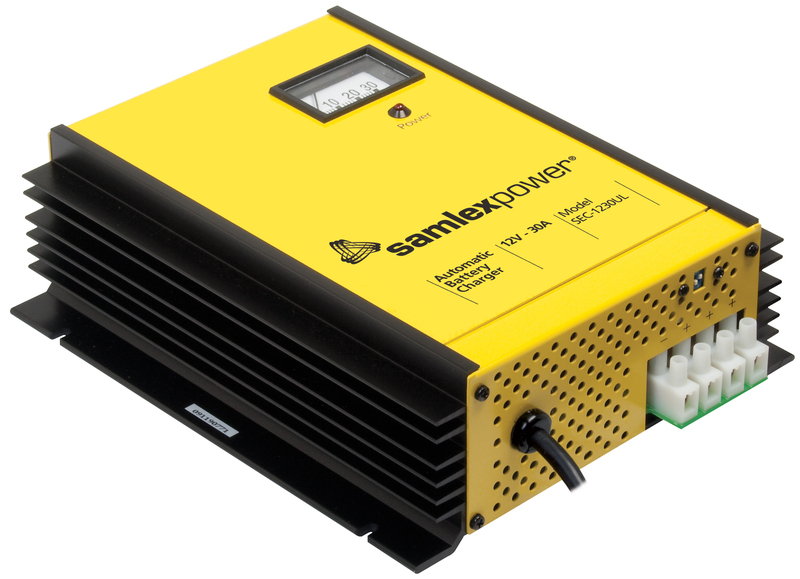 Half the size of standard battery chargers and water resisant (IP65). 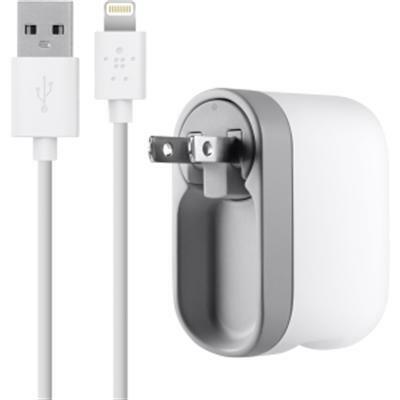 Swivel charger + lightning ChargeSync cable (2.1 Amp). 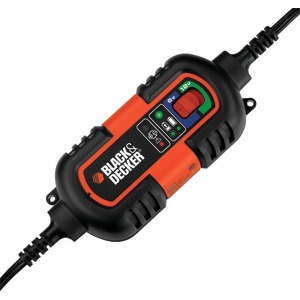 Rotates to 90 degrees to accommodate crowded A/C outlets and make room for other plugs and folding prongs make it simple to stick in a bag for charging on the go. Universal USB port for Apple devices with a 30-pin cable or other devices that use a mirco-USB cable. Swivel charger + cable compatible with iPhone 5 iPad (4th generation) iPad mini iPod touch (5th generation) and iPod nano (7th generation). Swivel charger alone compatible with iPhone 4S iPhone 4 iPhone 3GS iPad iPad2 iPad (3rd generation) iPod touch (5th generation and earlier) iPod nano (6th generation and earlier) and iPod classic. White. This item cannot be shipped to APO/FPO addresses. Please accept our apologies. 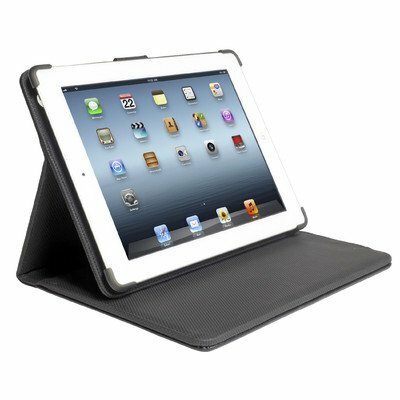 Stay powered up and securely protected with the Props Power Case designed exclusively for the iPad Mini. Featuring a sleek design, rugged construction, and a reliably robust built-in 8000mAh battery that significantly extends the charge of your iPad Mini, just fold back the front cover to form the perfect easel stand for hands-free enjoyment when watching movies, reading, and more. The Props Power Case is an indispensable accessory that ensures you?ll get the most out of your mobile experience. 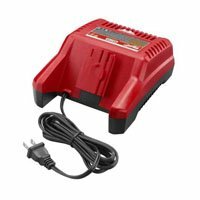 2-amp Trickle - Use for charging small 12-volt batteries, such as those used in motorcycles, garden tractors, ATVs, jet skis and snowmobiles, at a charge rate of up to 2 amps. Refer to manufacturer's specifications on recommended charge rate. This setting can also be used to slowly charge larger batteries. When the battery is fully charged, the Battery Charger current output will taper and then the Battery Charger will automatically shut off. 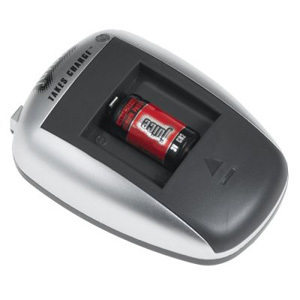 When the battery's charge drops, the Battery Charger will come on again, keeping the battery fully charged. 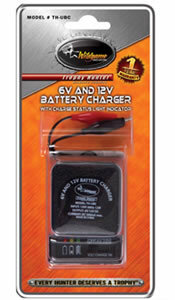 15-amp Quick Charge - Use for charging larger 12-volt and automotive batteries at a charge rate of up to 15 amps. When the battery is fully charged, the Battery Charger current output will taper and then the Battery Charger will automatically shut off. 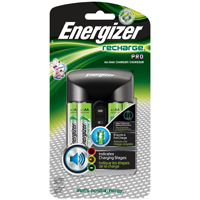 When the battery's charge drops, the Battery Charger will come on again, keeping the battery fully charged. 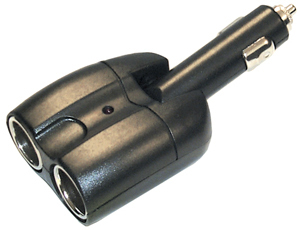 100-amp Engine Start - Use for delivering up to 100 amps to a 12-volt battery to assist in engine starting. 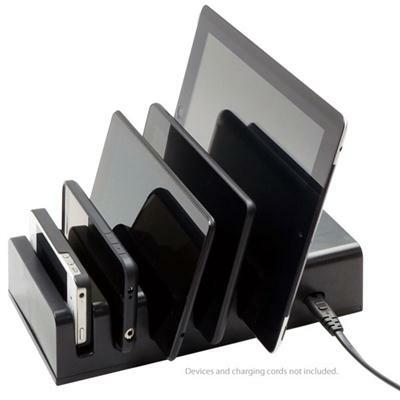 VisionTek 5 Device Charging Station This item cannot be shipped to APO/FPO addresses. Please accept our apologies. 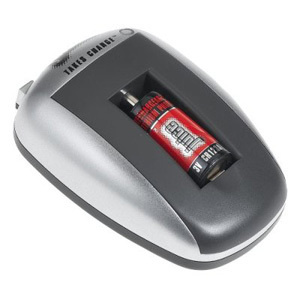 Includes one charger, two AA NiMH batteries and two AAA NiMH batteries. Smart auto shut off. 4000 mW charge power (based on charging AA batteries). 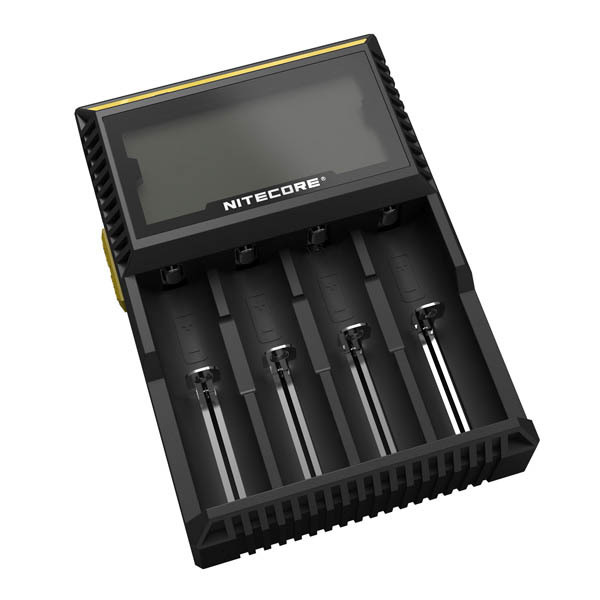 Battery Type: NiMH; Battery Size: AA; AAA. 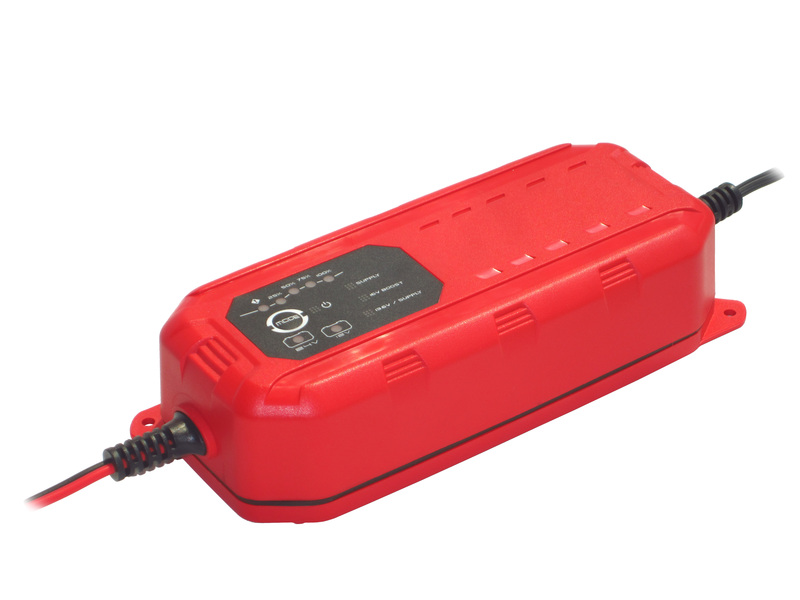 Our Latest 12V Smart Battery Charger (3.8A). 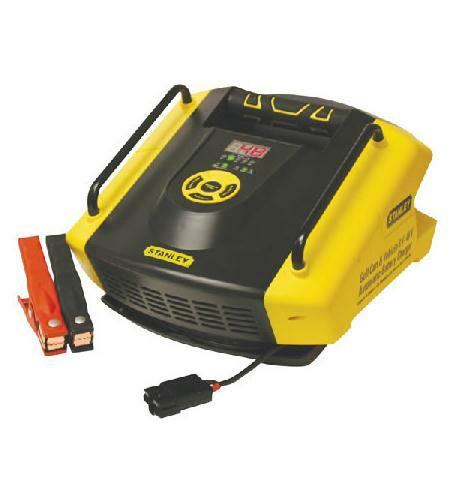 Professional charger and battery maintainer for you booster, car, motorcycle, truck, boat, etc! Half the size of standard battery chargers and water resisant (IP65). The Go Power! 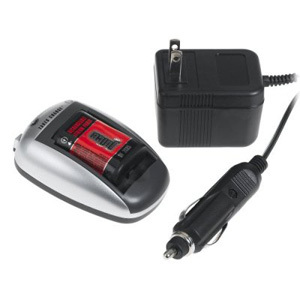 Battery Chargers are compact, powerful battery chargers that offer fast, accurate battery charging at a reasonable cost. Using state-of-the-art, switch mode technology, Go Power! 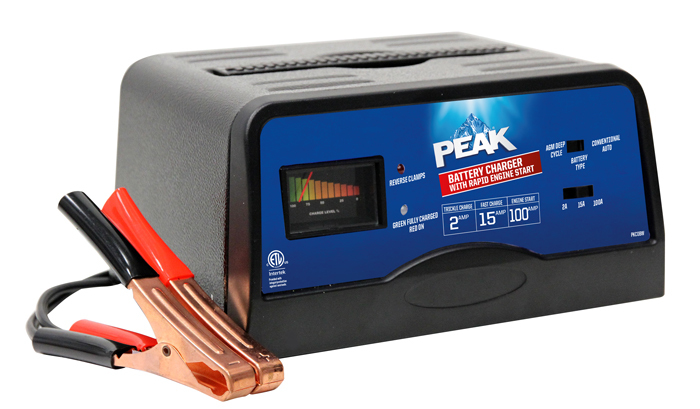 Battery Chargers are reliable, compact and lightweight. All models feature switchable output modes, one for float charging and one for rapid charging, and a four-stage charger, with an automatic "equalization" stage to periodically boost charge batteries. 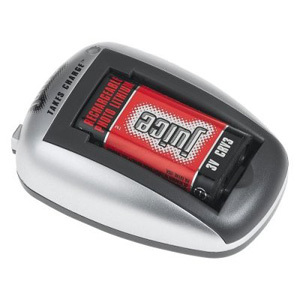 This is especially useful for batteries which often sit idle for long periods. You'll never run low when you?re on the go with the ChargeIt!? portable power pack. 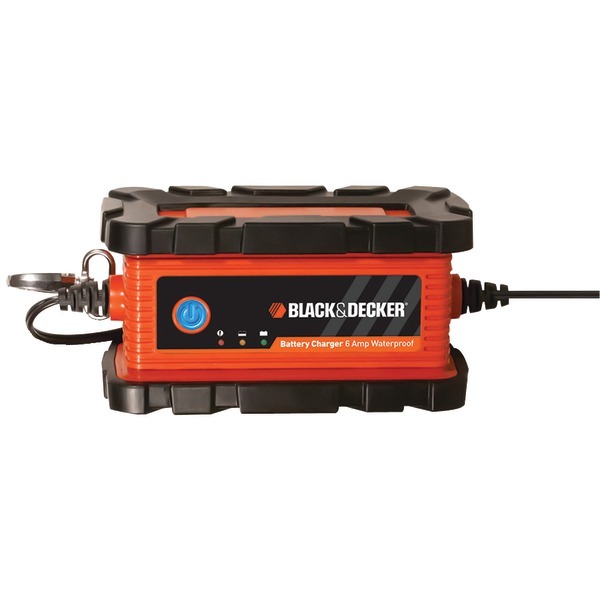 This pocket-friendly dynamo provides a ready source of power to keep all of your portable electronics charged and ready when you need them. The ChargeIt! 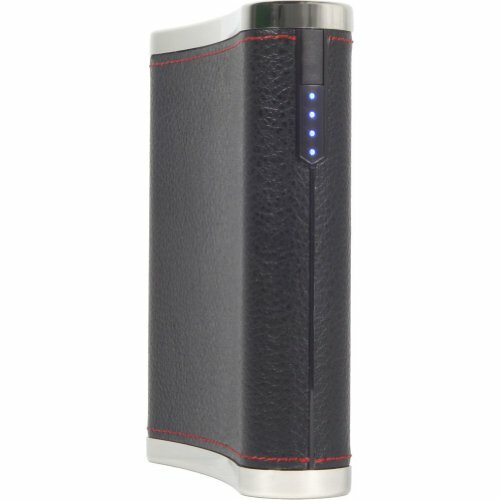 ?s unique desing uses four AA rechargeable batteries to deliver both terrific power and the flexibility to achieve additional full charges in an instant just by popping in fresh batteries ? no waiting for a recharge! 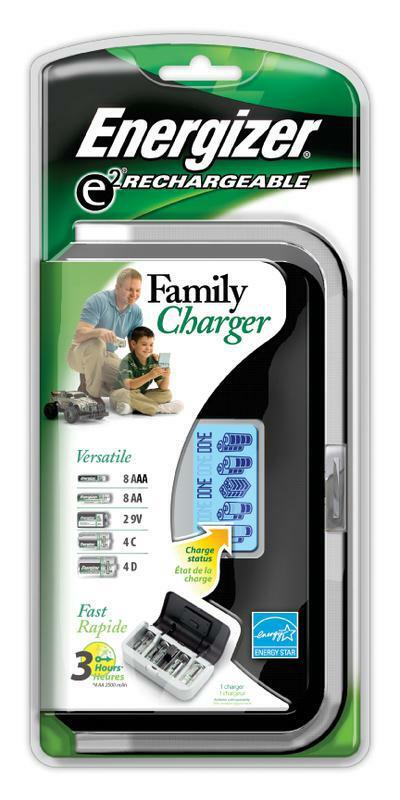 For even greater convenience, the Chargeit! 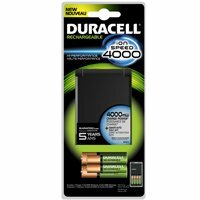 is also a smart charger for all of your AA and AAA NiMH and NiCD rechargeable batteries. 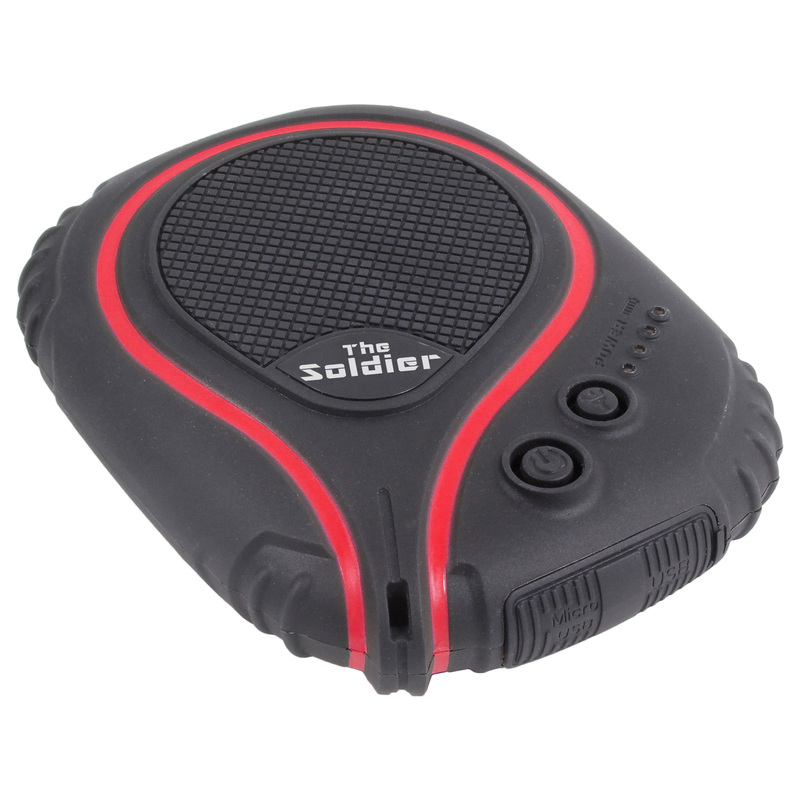 Shockproof, waterproof, and dustproof, The Soldier is the perfect travel partner for when you're biking the trails, riding the rapids, or just walking through the neighborhood. 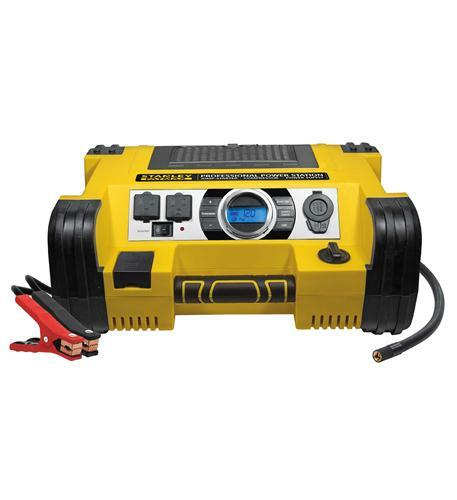 Its IP67 rating for dust and water protection make it the ideal charging solution for outdoor adventure, and it can withstand total submersion in up to three feet of water for 30 minutes. The Soldier also includes a built-in high-brilliance LED flashlight with dimmer and SOS function in case you run into any emergency lighting situations, a detachable wrist lanyard, and comes with a USB-to-Micro-USB cable.